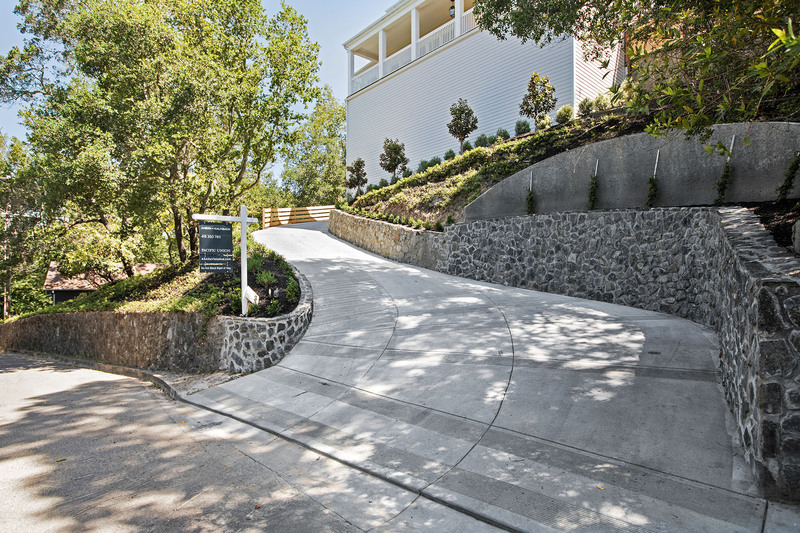 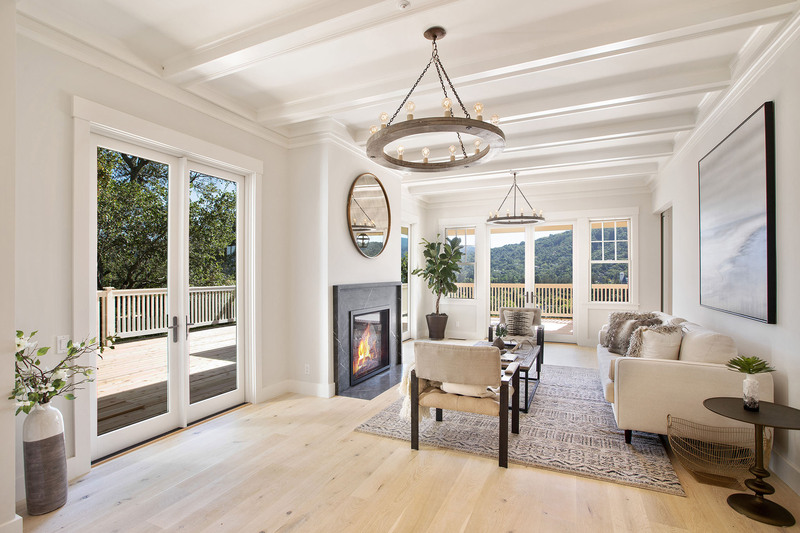 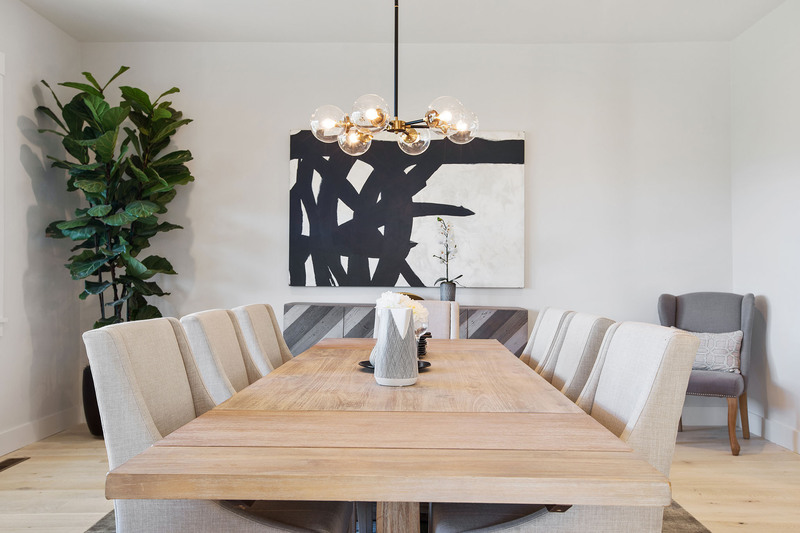 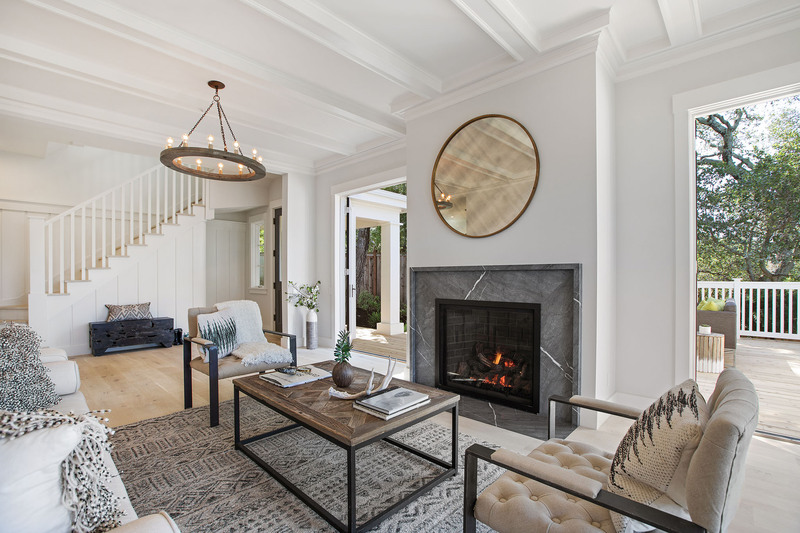 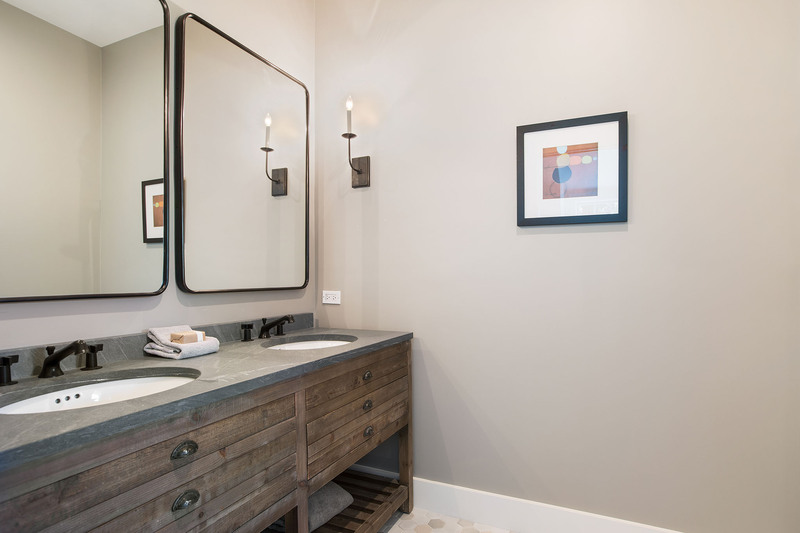 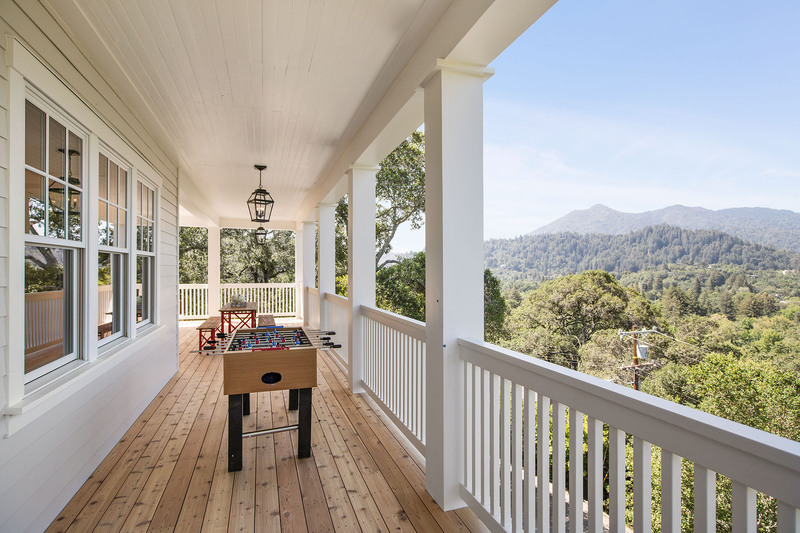 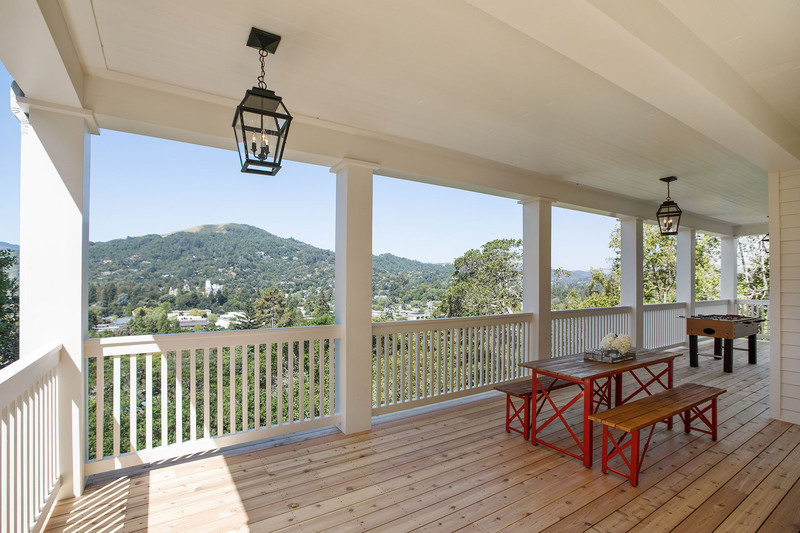 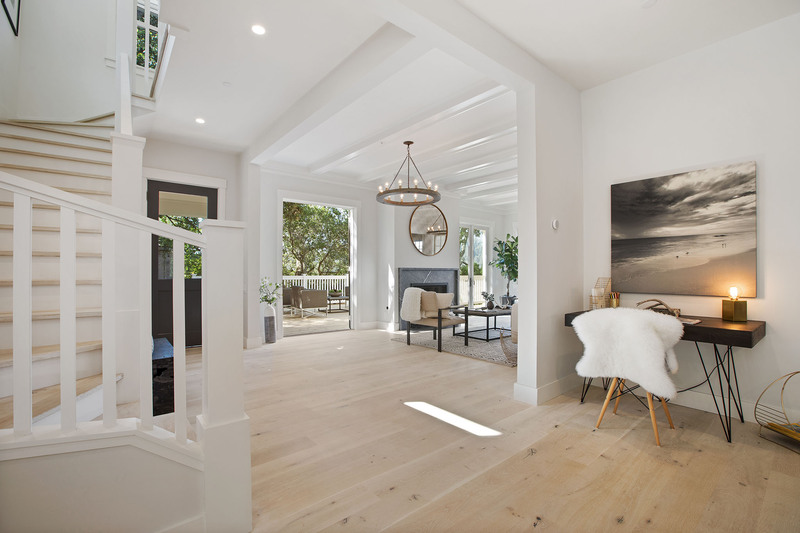 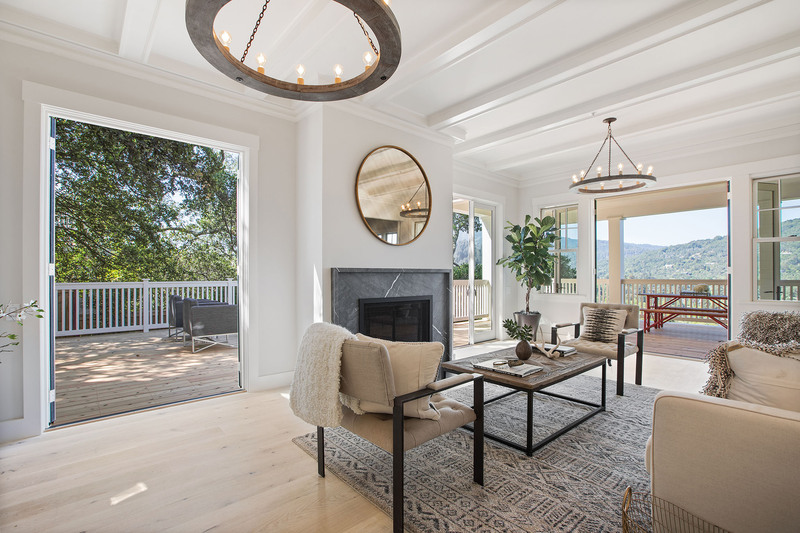 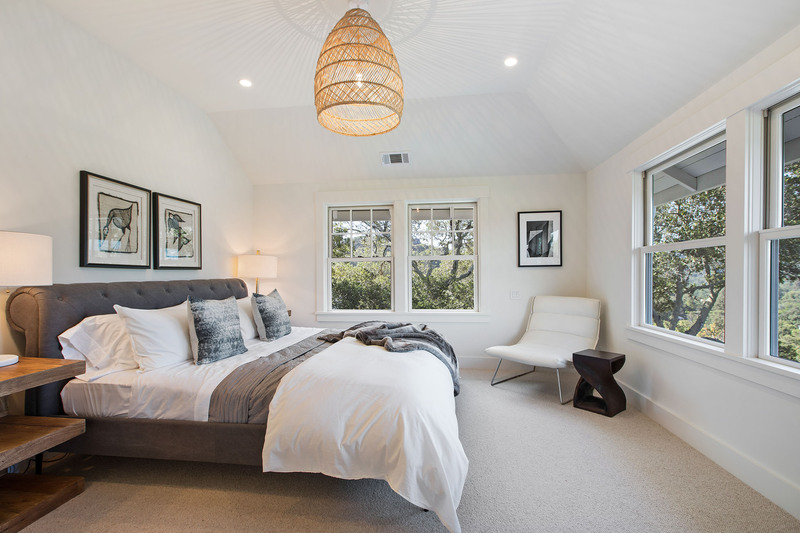 With stunning views of the Seminary, Mount Tam and Baldy that will take your breath away, this re-imagined 5 bedroom, 5 bath home has been artfully reconstructed with modern flair and stylish finishes that are as captivating as the views. 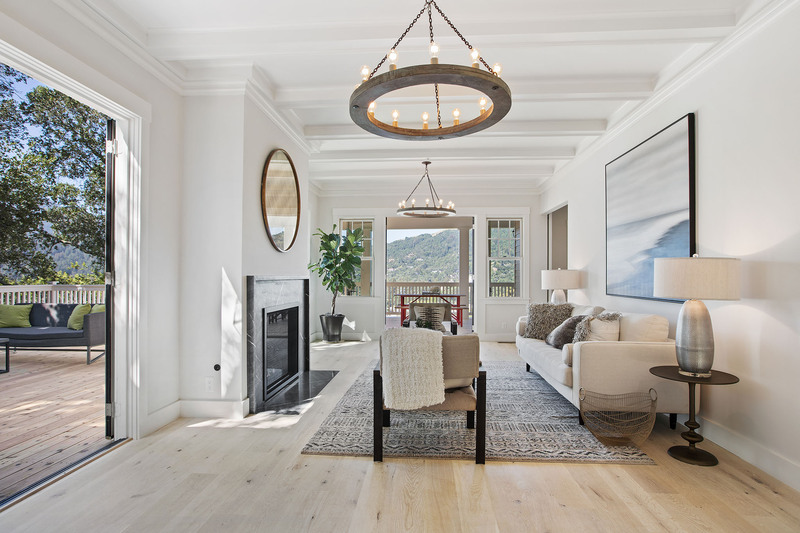 The lofty open floor plan has a gracious formal living room with a set of French doors on each side of the fireplace leading to a large entertaining deck. 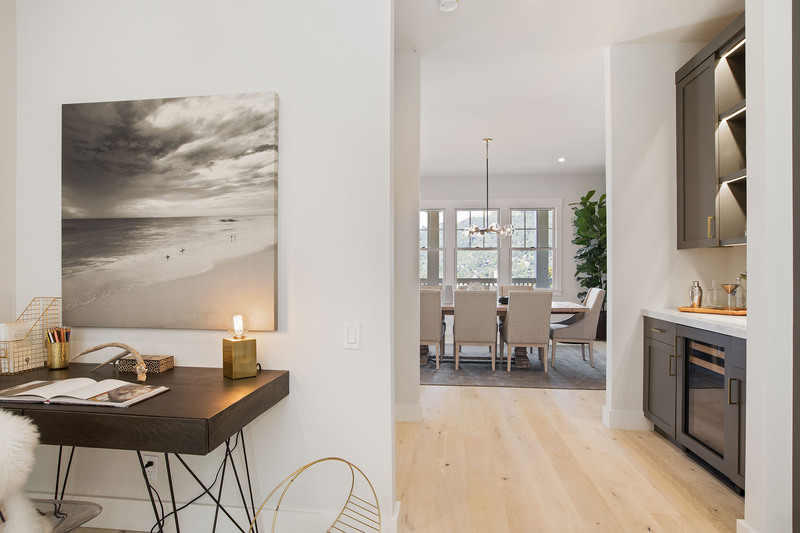 The gourmet kitchen feels like a chic NYC restaurant with serving island, wet bar, Carrera marble counter tops and high-end appliances and is open to the stately dining room that takes advantage of the views and wrap around porch for entertaining or relaxing. 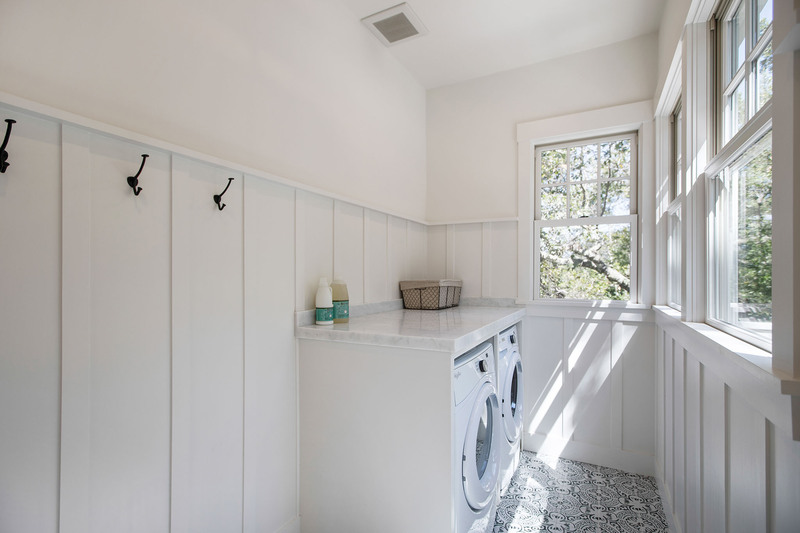 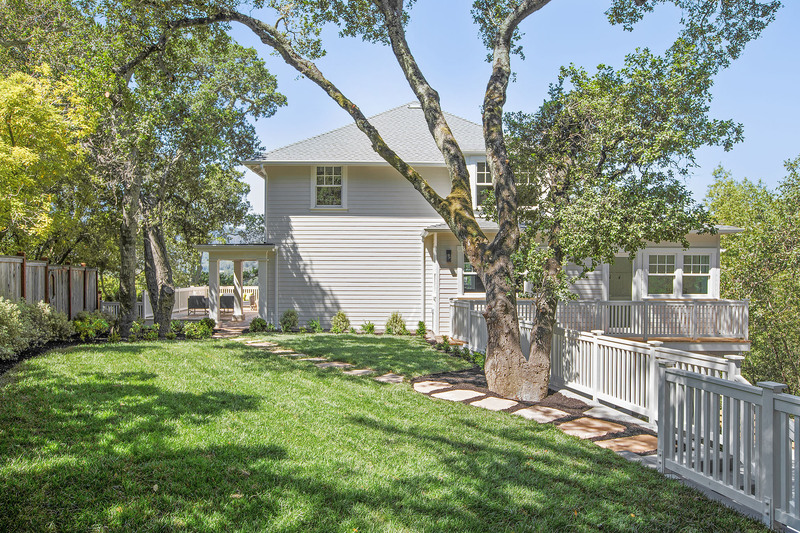 There is an adjoining family room/media room for movie night and a guest bedroom and full bath on the main floor as well as a spacious laundry room/mud room. 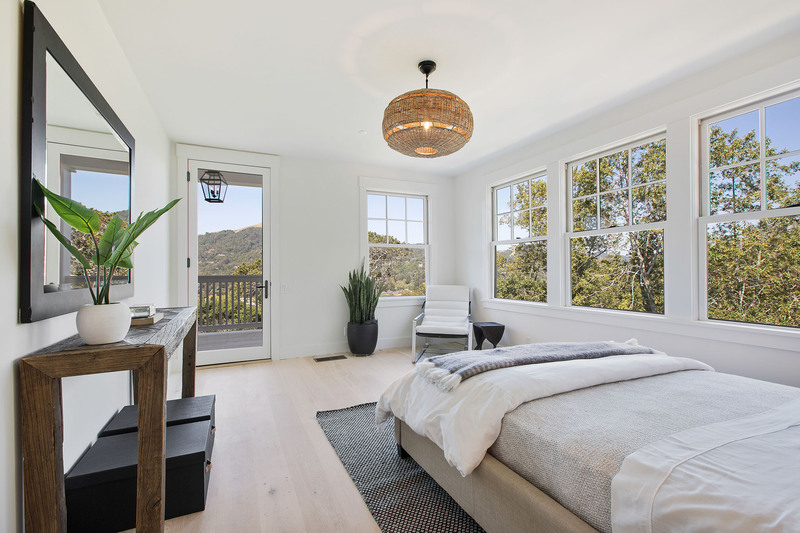 Upstairs are 3 more en-suite bedrooms including the luxurious master with free standing bathtub and spectacular views. 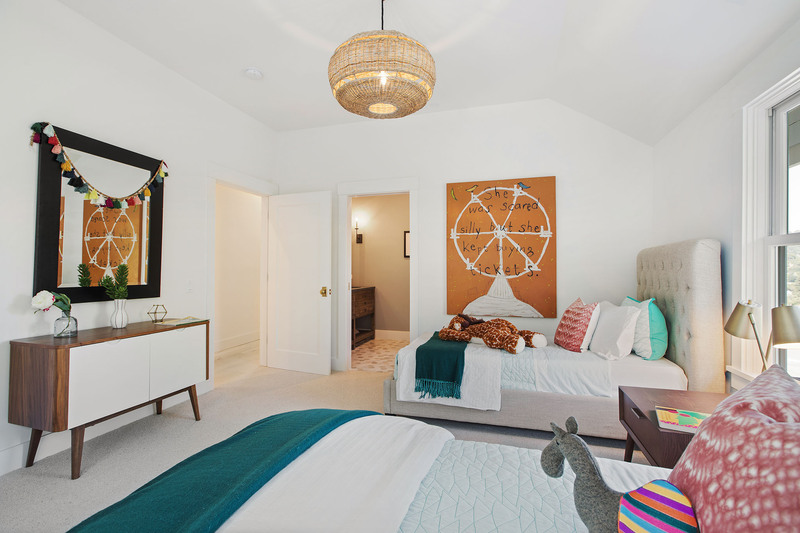 The lower floor has a 5th bedroom and bathroom which could make a great home office, and also ideal for long term guests or au-pair. 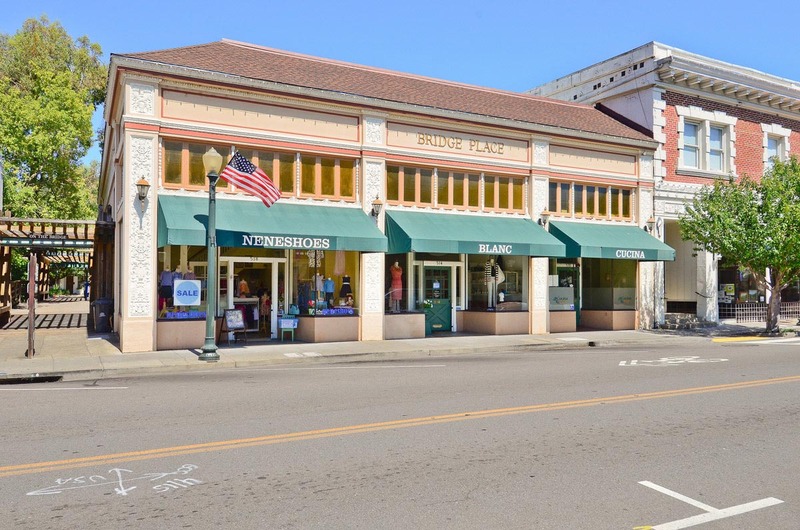 There is an additional bonus space of just over 1,200 square feet that may have future potential for further development, i.e. 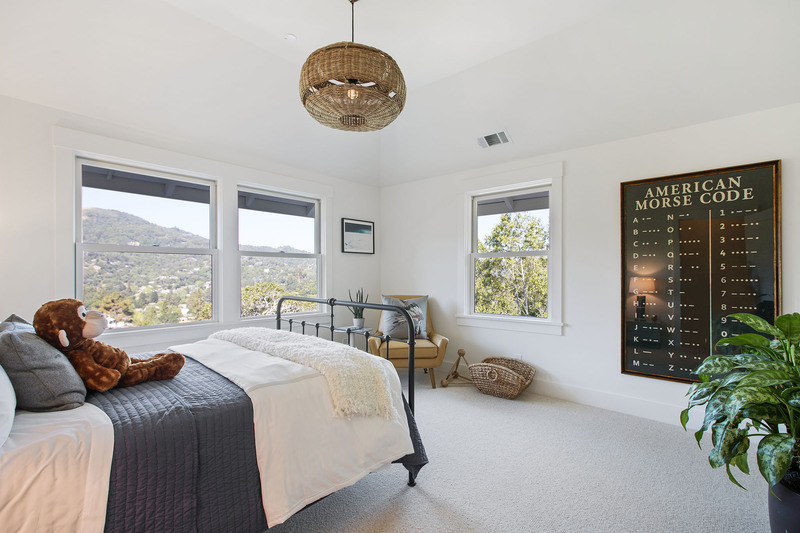 home gym, rec room, office, library or wine cellar or all of the above. 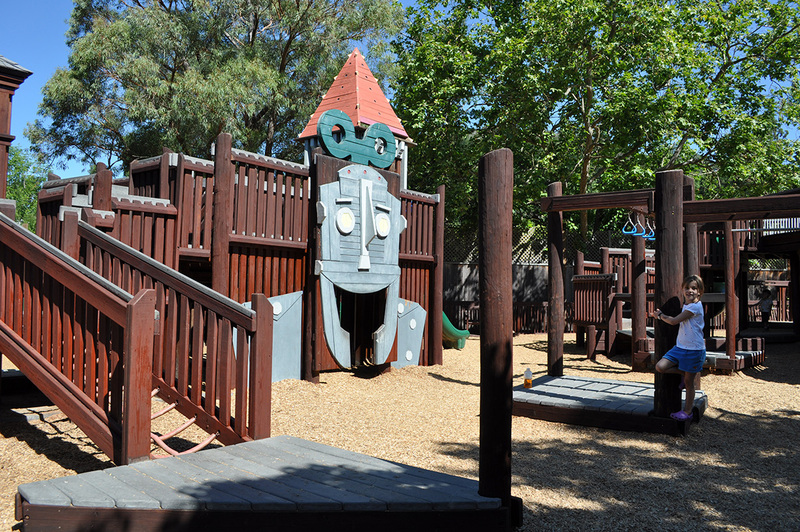 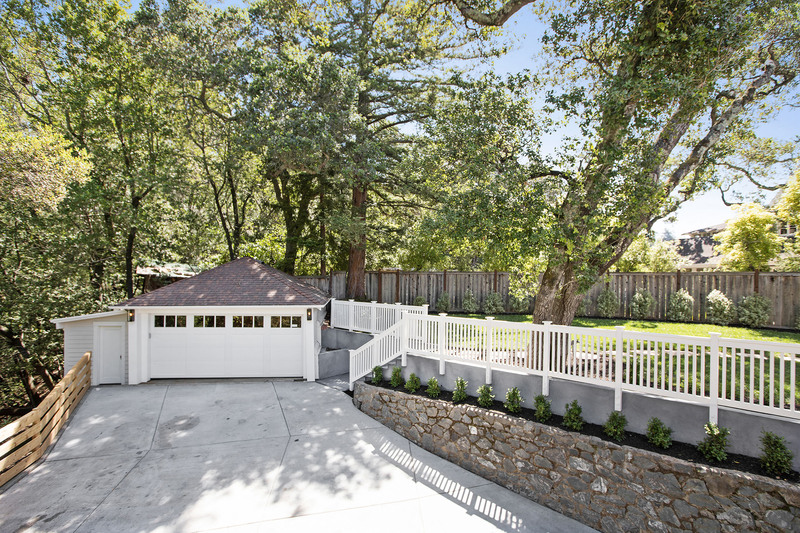 There are two separate garages, a large flat lawn, multiple decks and patios with easy access from the interior. 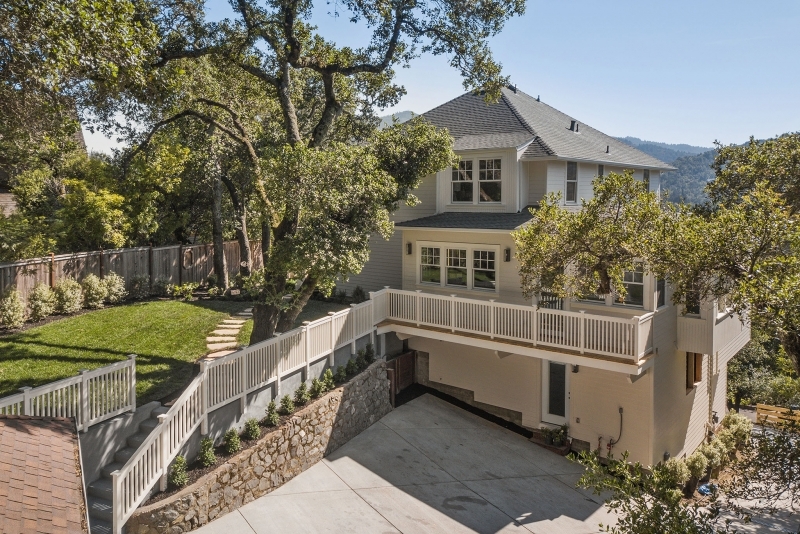 The stone walls, mature Oak trees and private driveway create an old world feel but the design of the home by Postcard Properties is nothing short of mesmerizing. 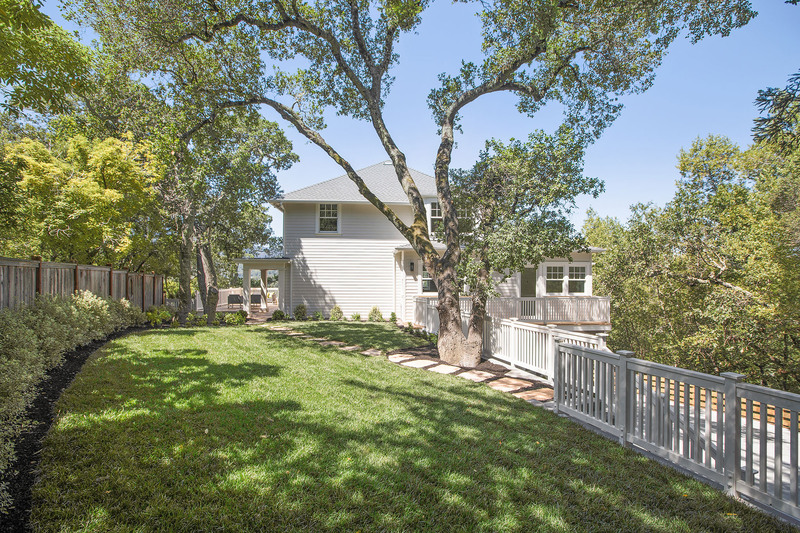 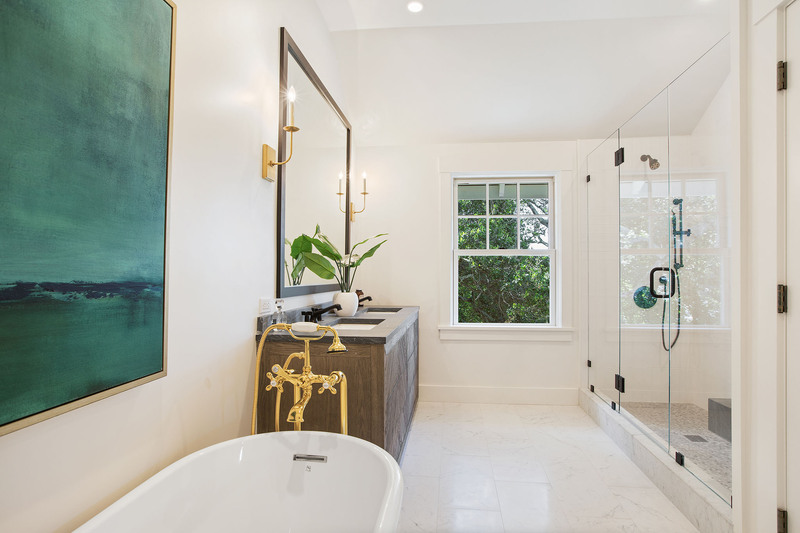 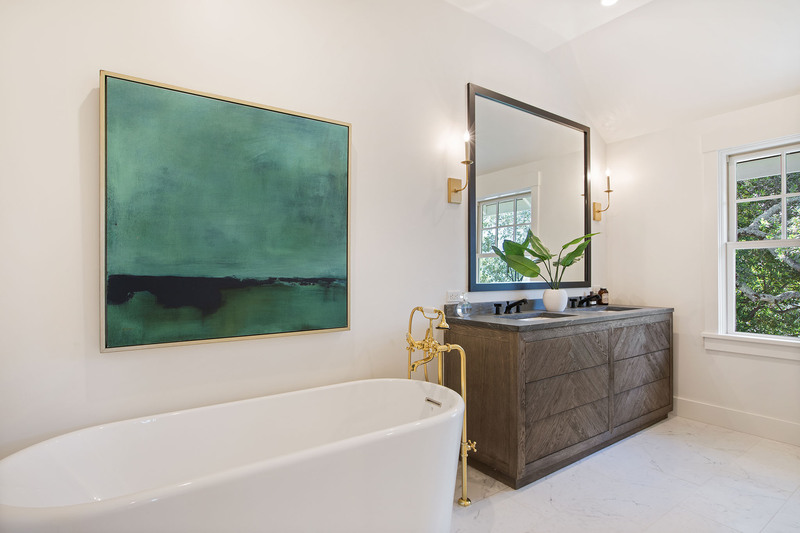 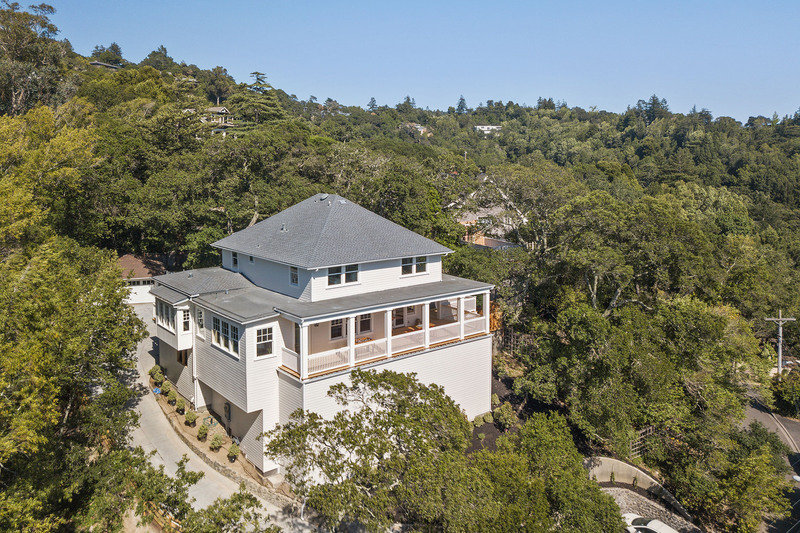 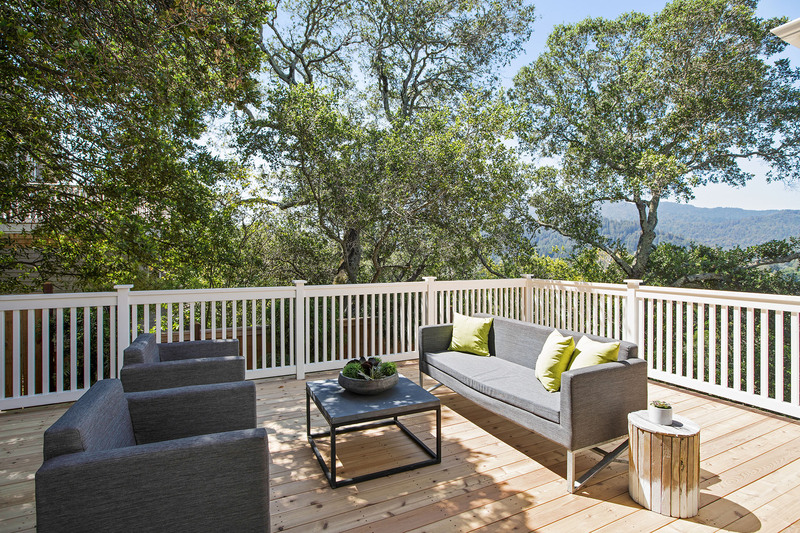 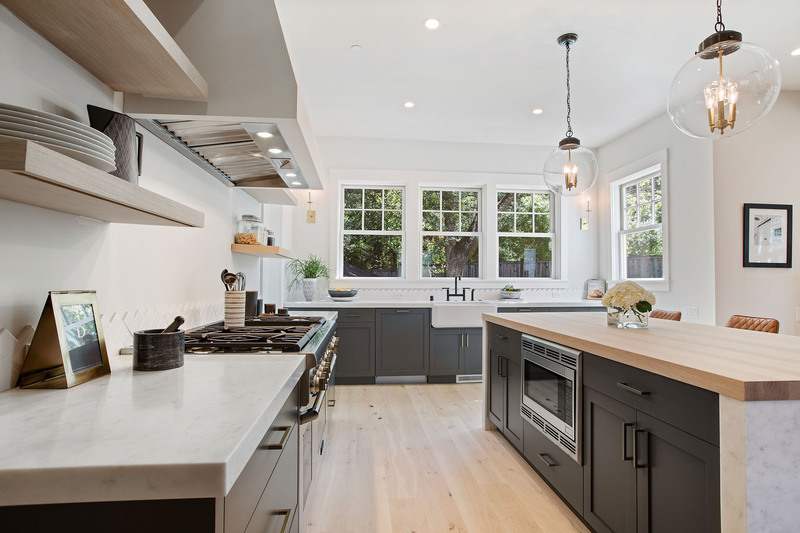 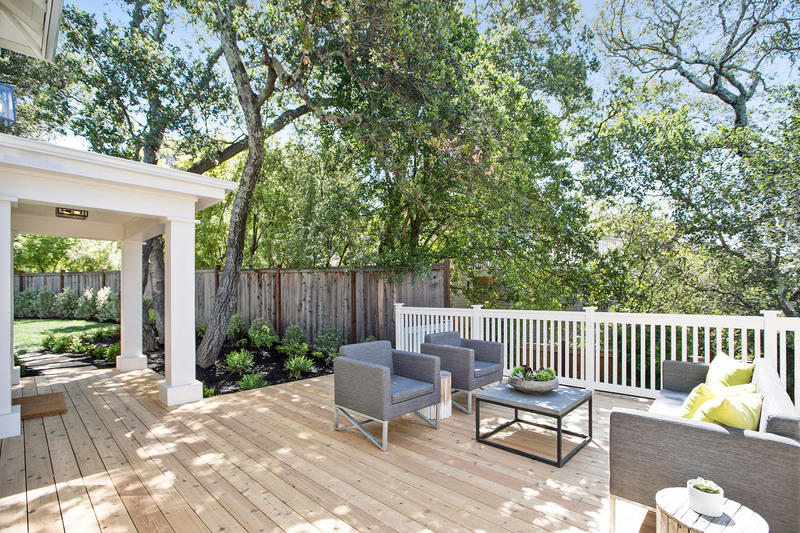 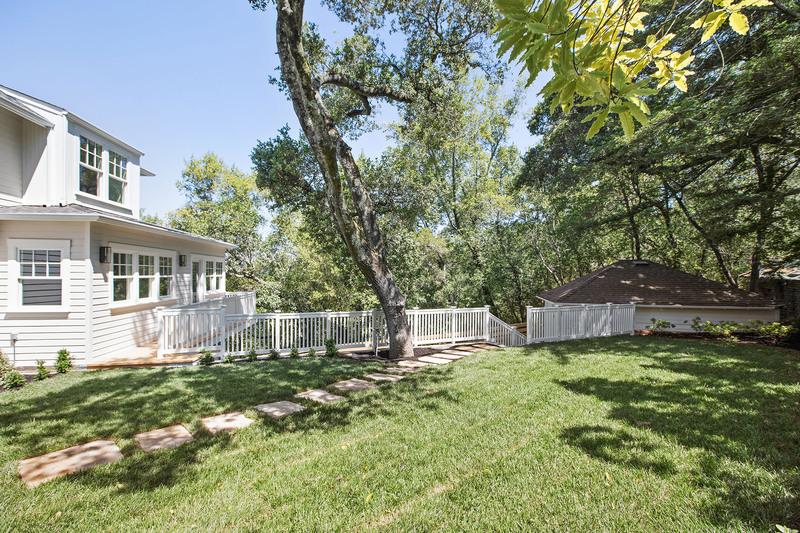 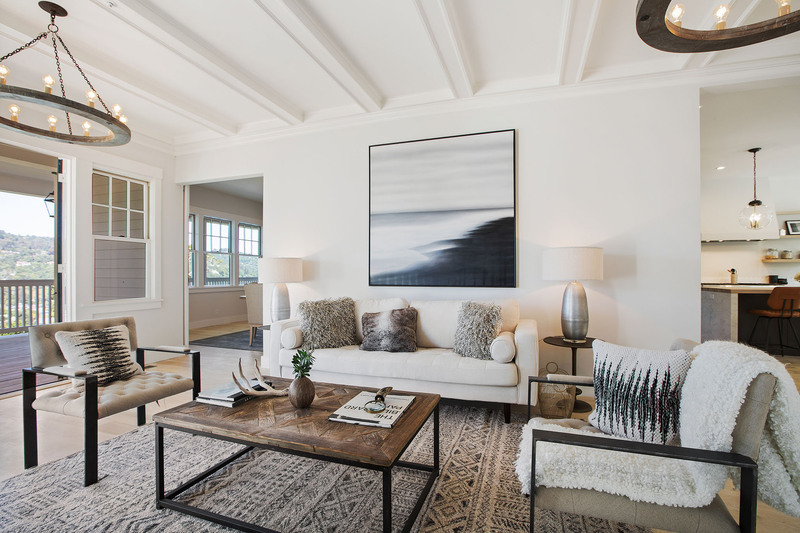 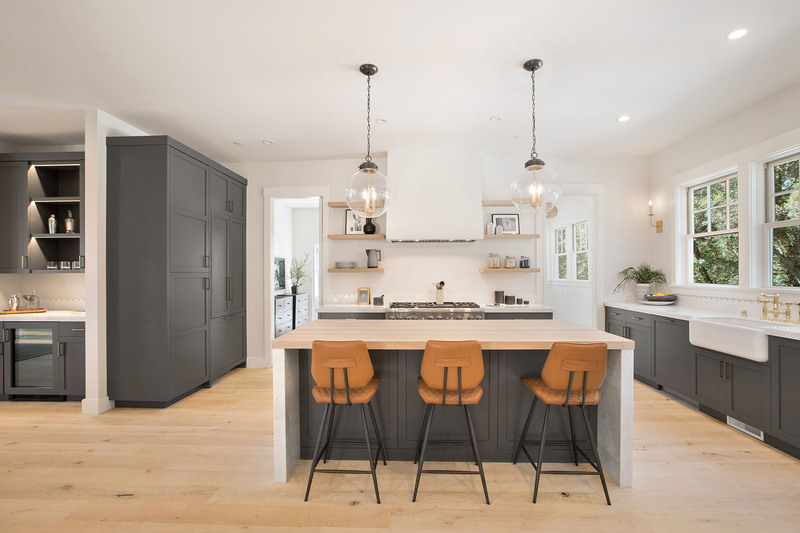 With easy access to the flats and downtown San Anselmo, this property is reminiscent of an East Coast estate in Nantucket or Cape Cod but with a floor plan and finishes for modern day Marin living. 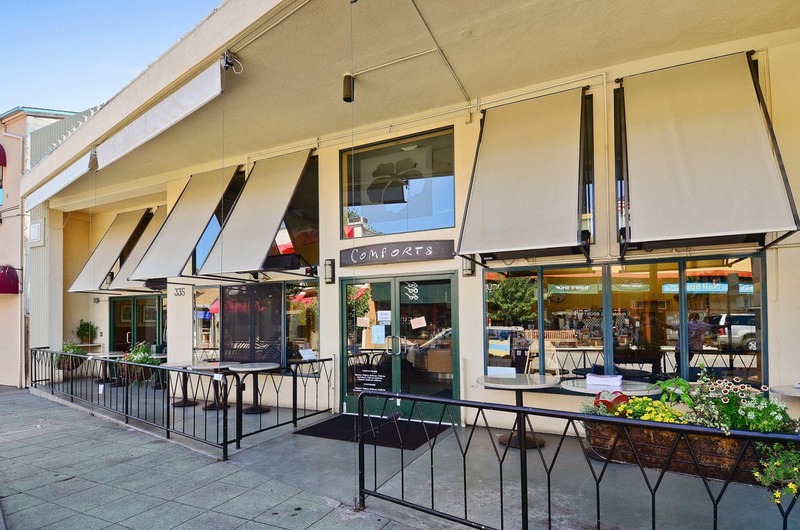 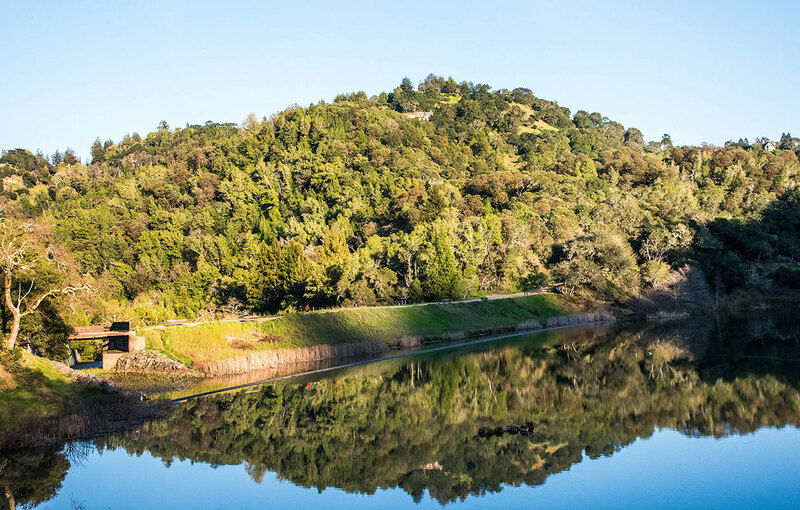 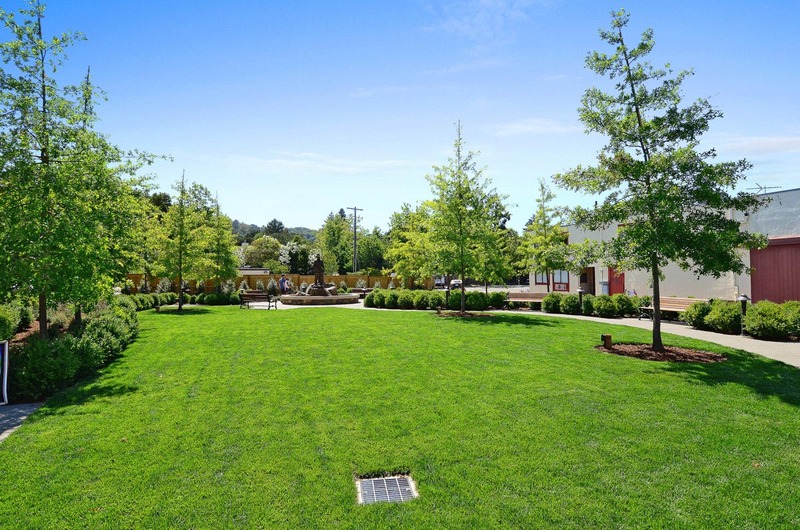 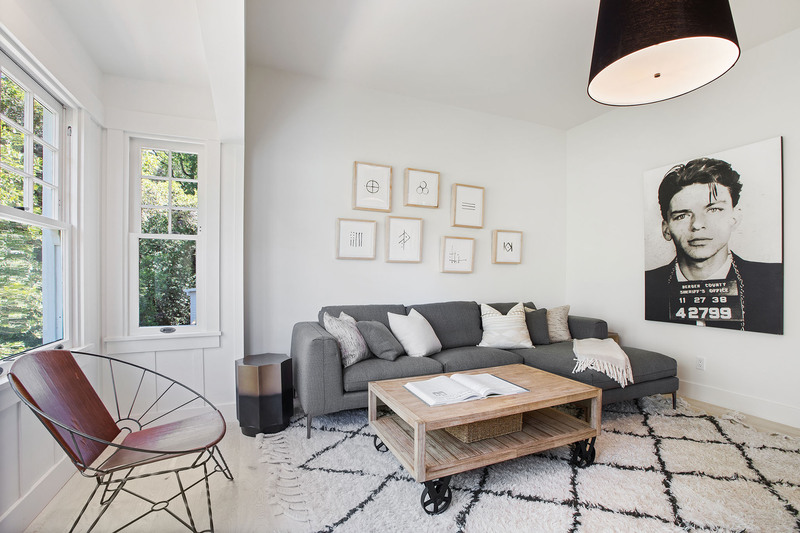 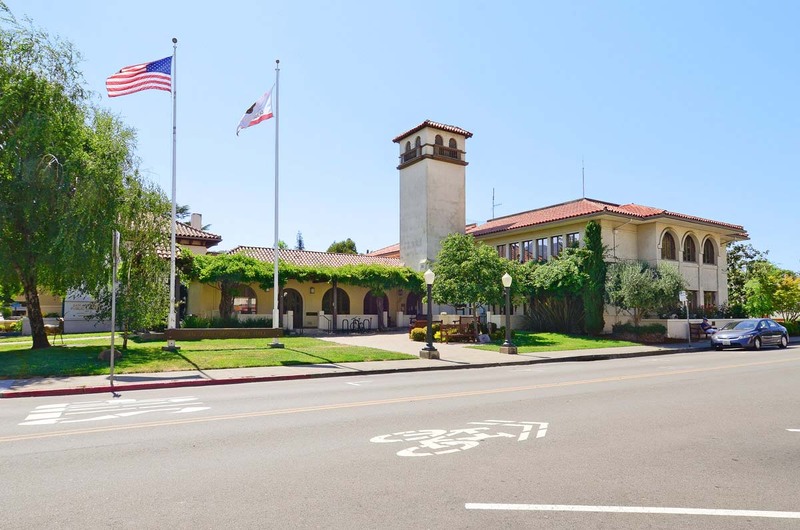 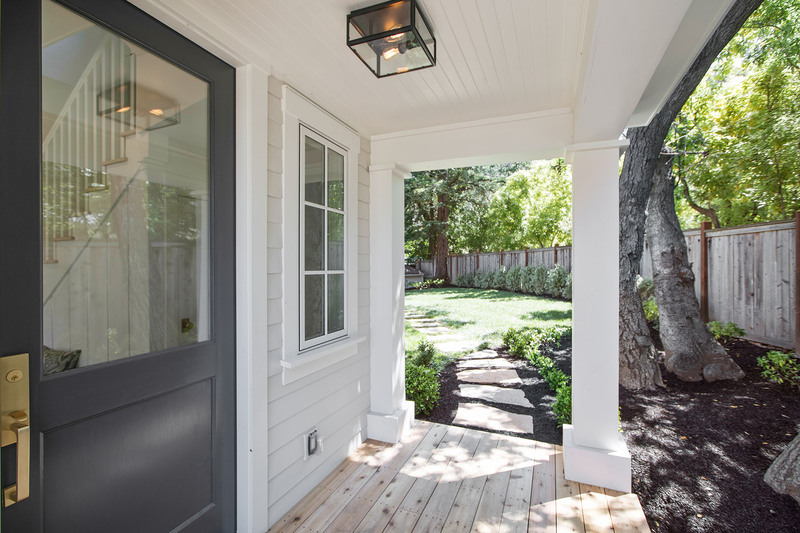 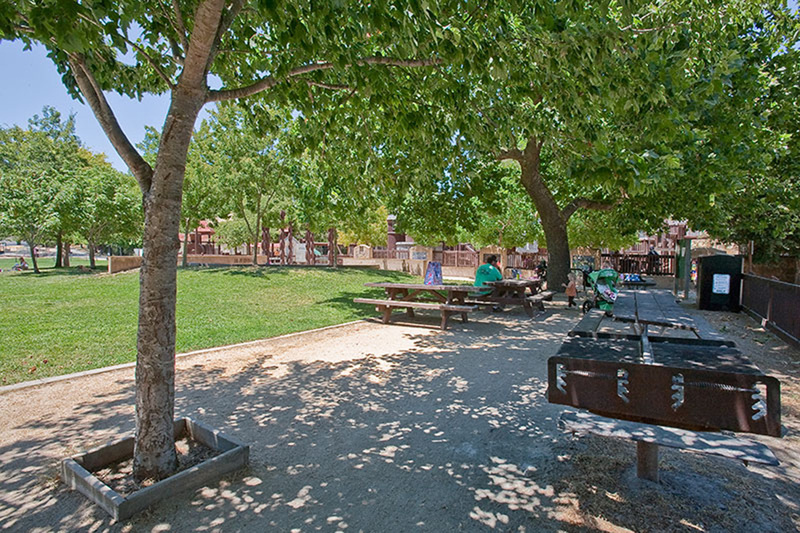 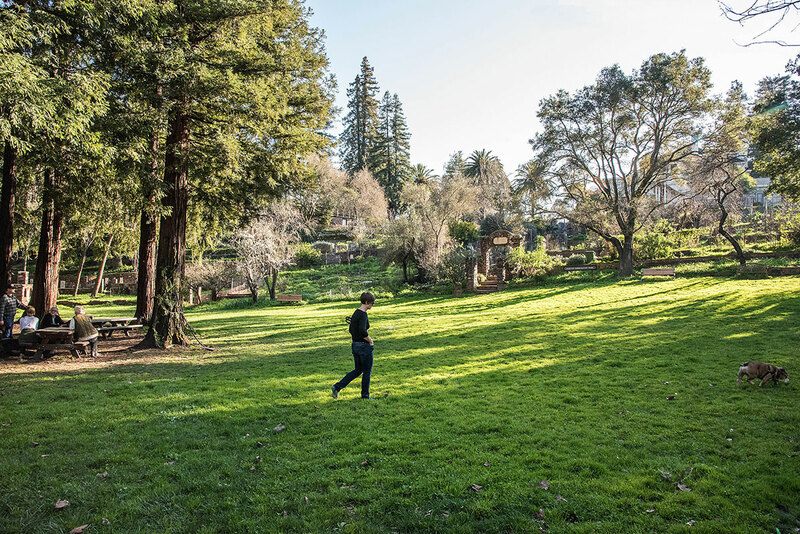 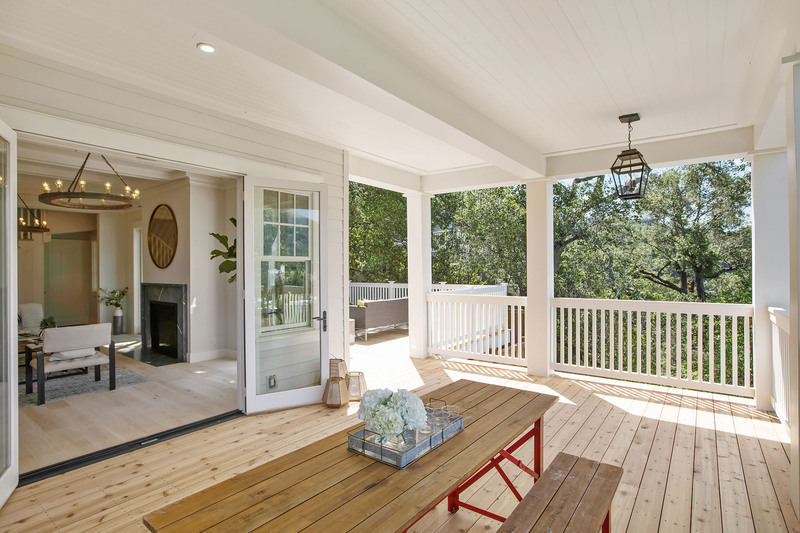 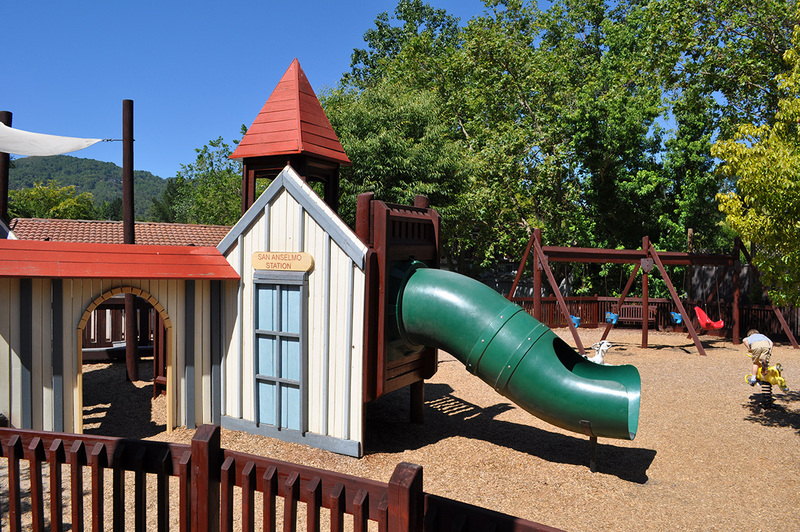 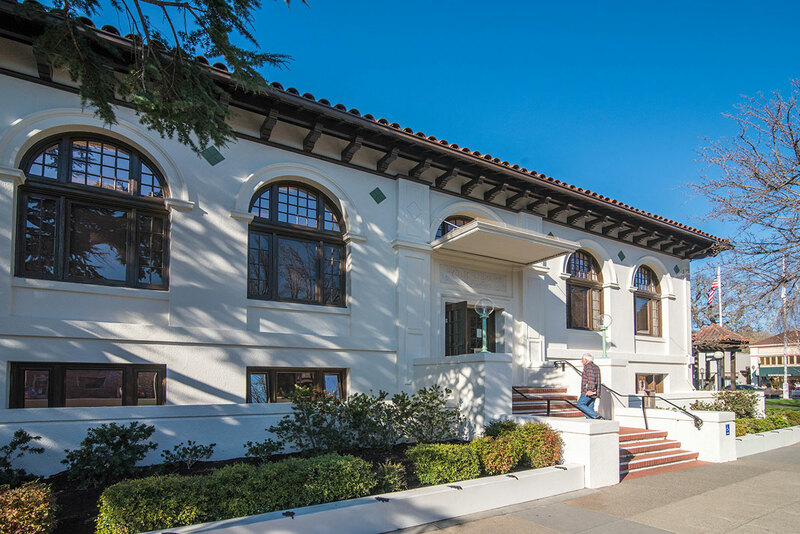 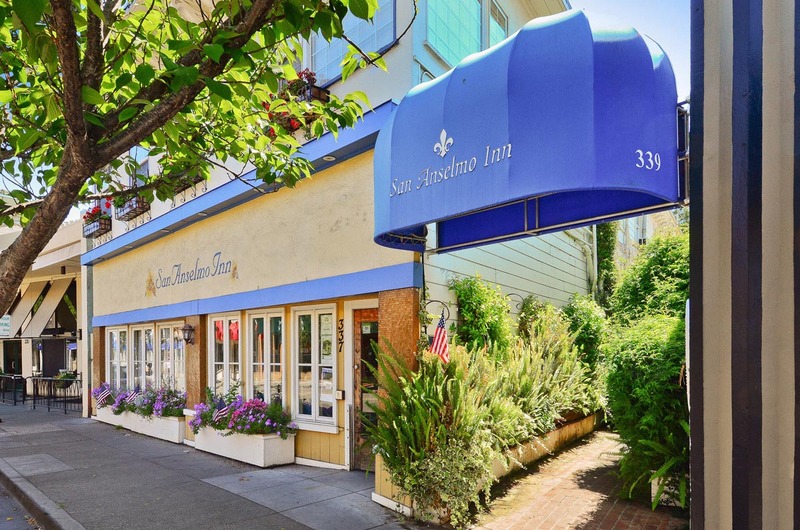 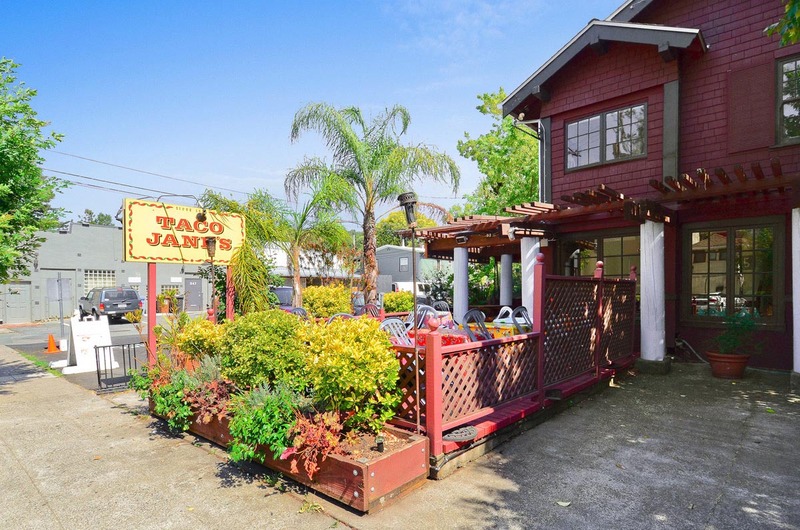 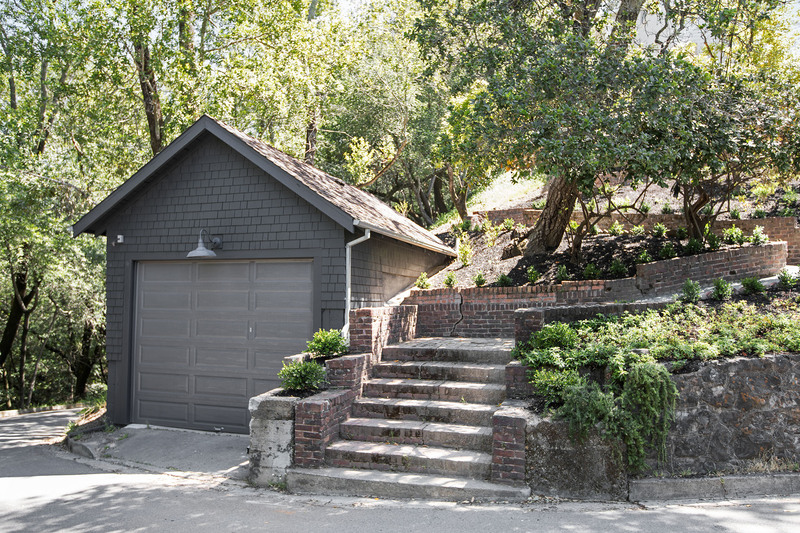 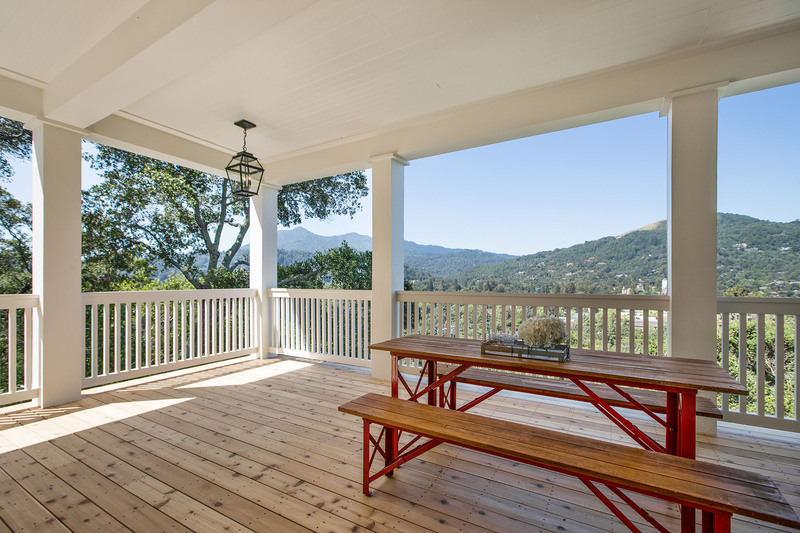 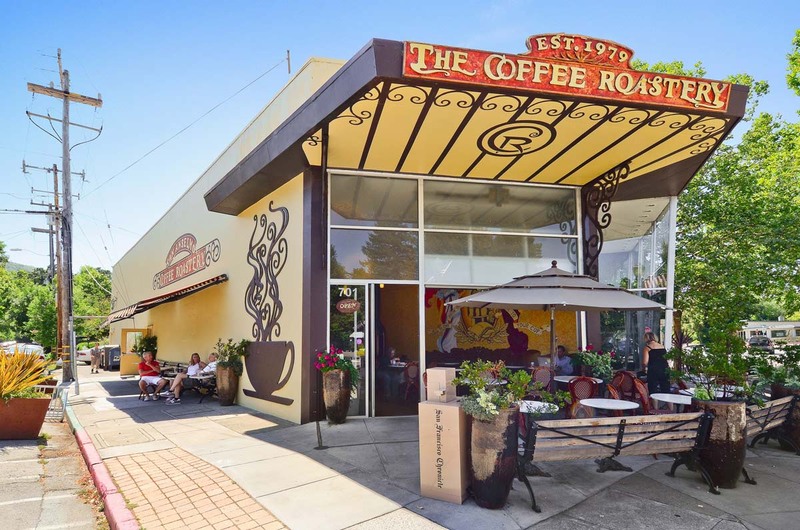 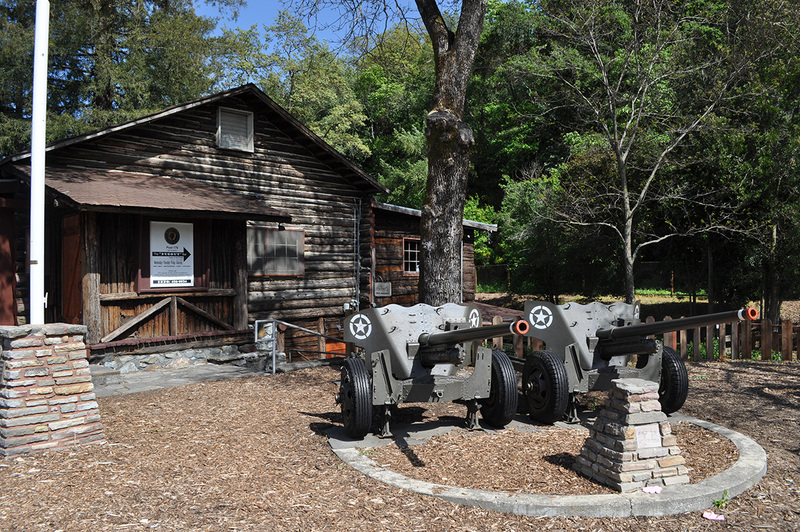 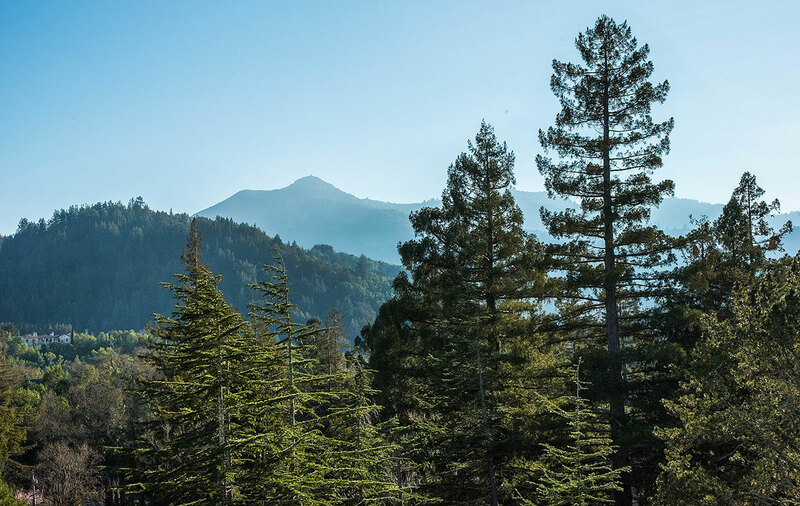 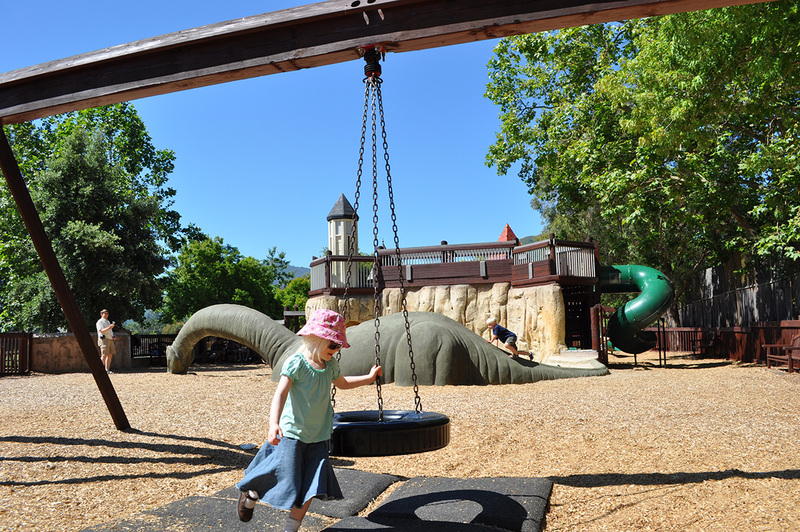 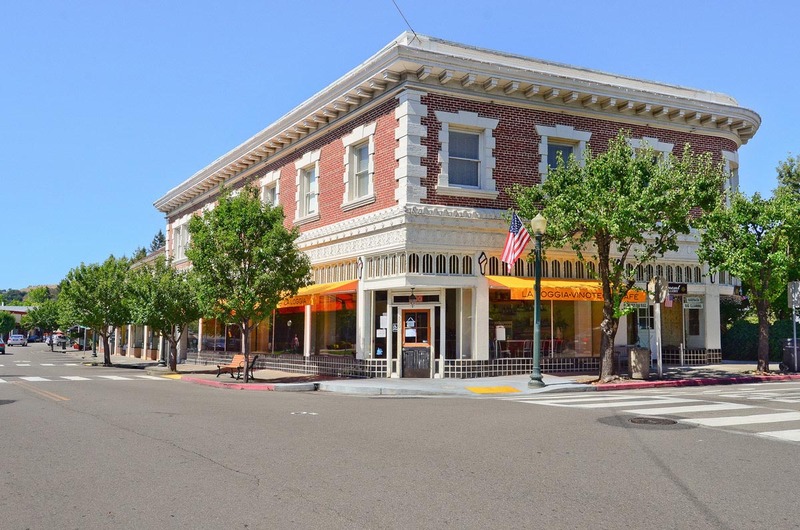 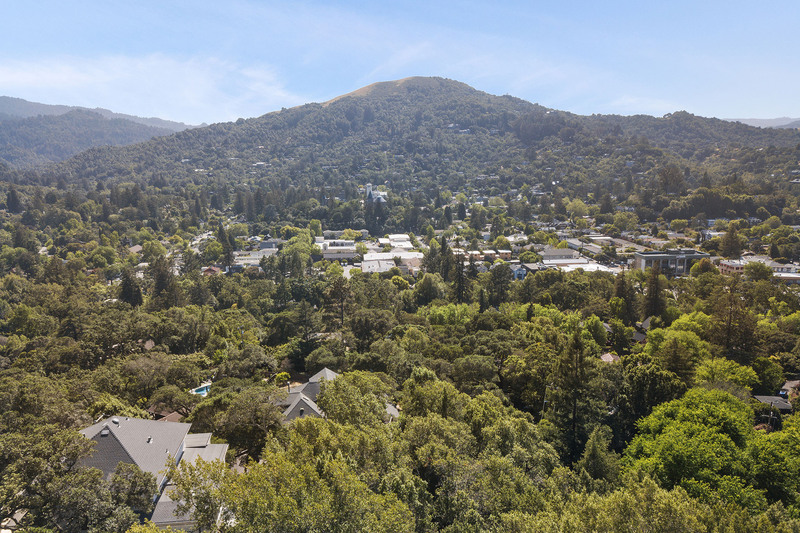 Great weather, access to hiking and biking trails, good schools, and a strong, vibrant downtown make San Anselmo a desirable destination for Marin County homebuyers looking to live a little off the beaten track. 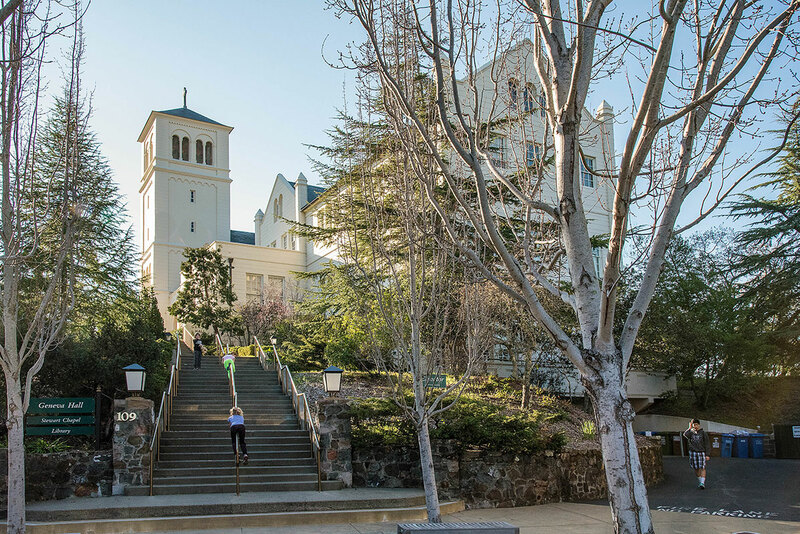 The neighborhood surrounding the San Francisco Theological Seminary is a quiet, leafy enclave of large, older houses with well-tended yards. 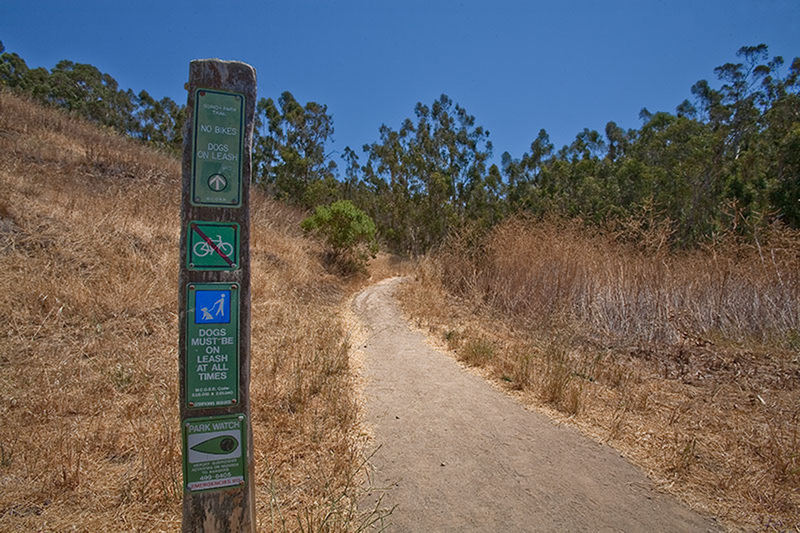 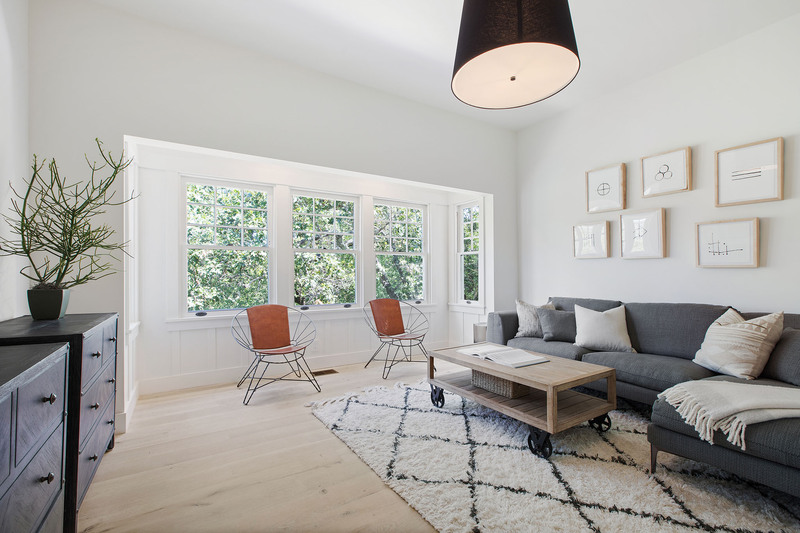 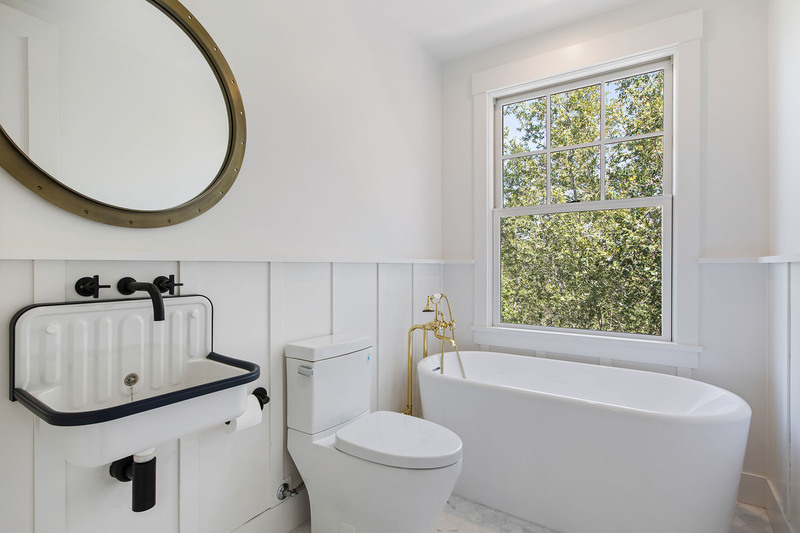 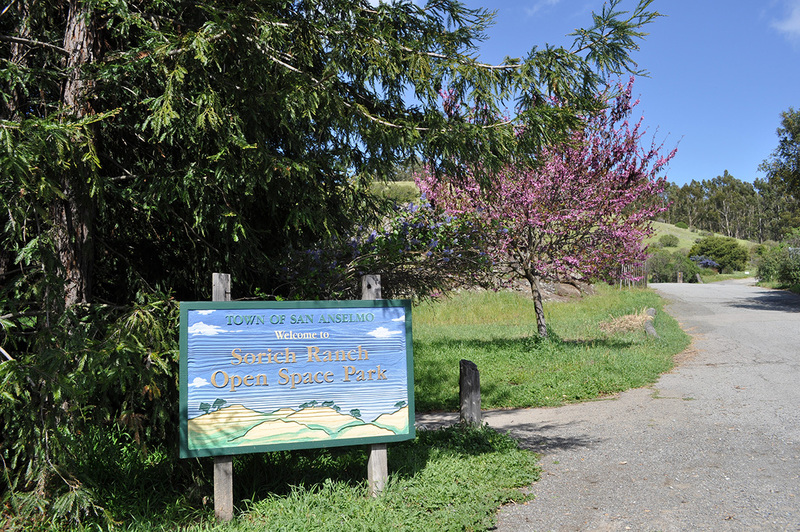 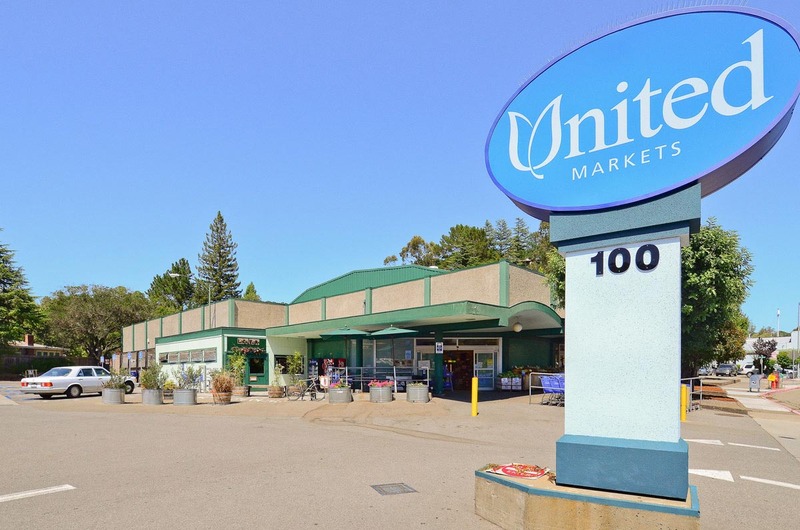 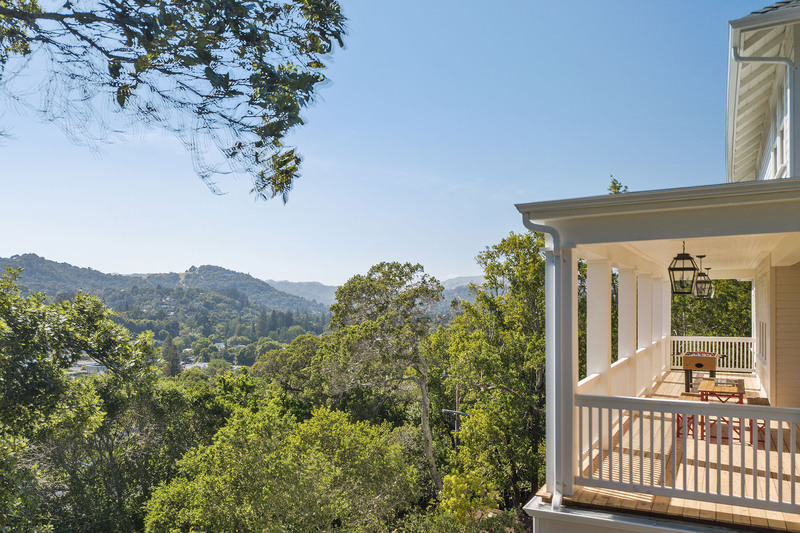 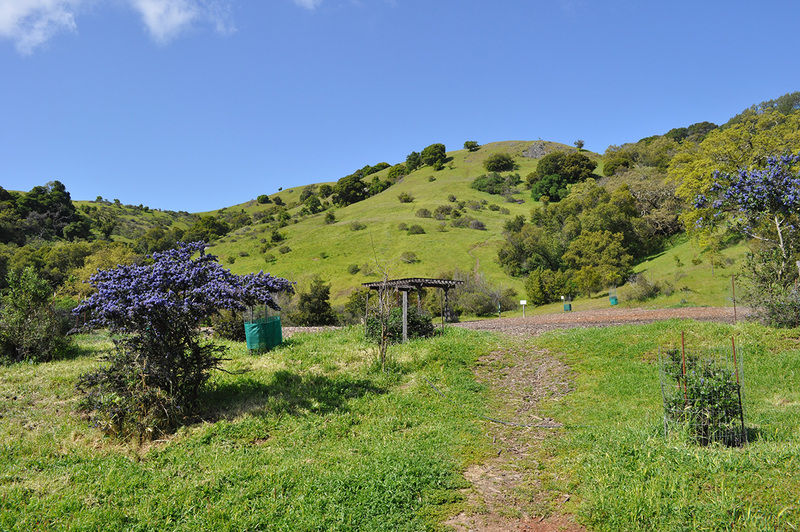 Heading up Butterfield Road will take you to the rolling hills above San Anselmo and sweeping views of the open spaces, grasslands, and oak trees of northern Marin County. 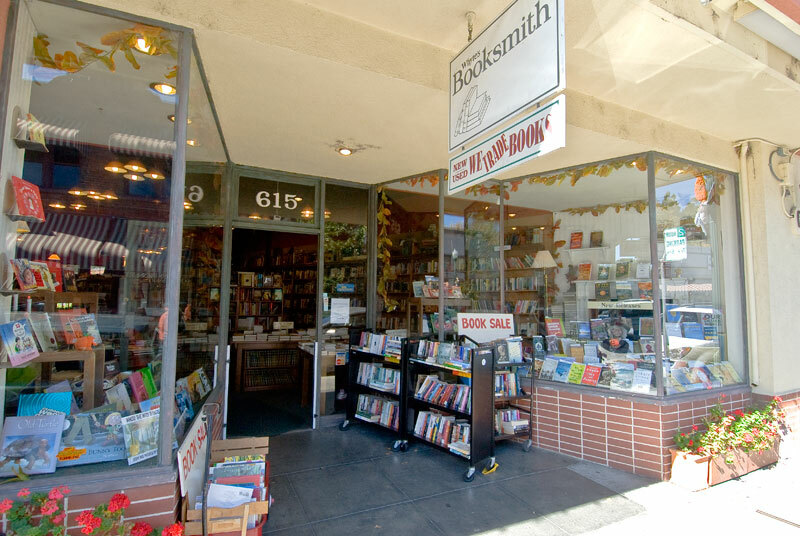 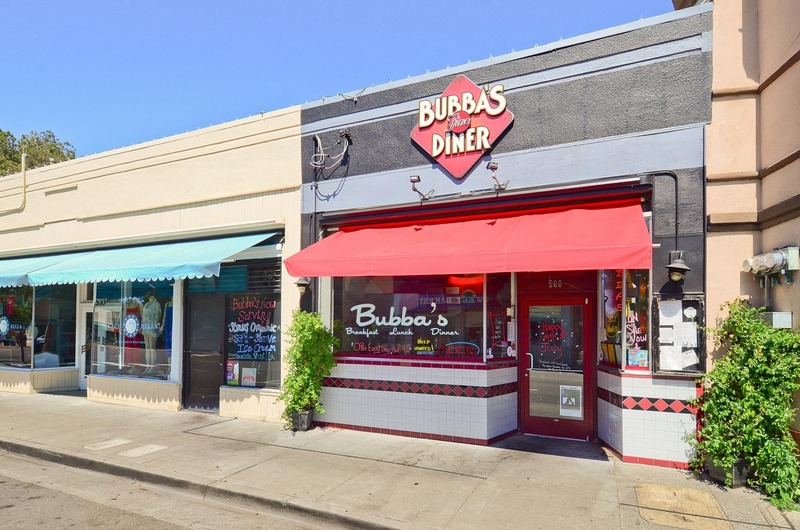 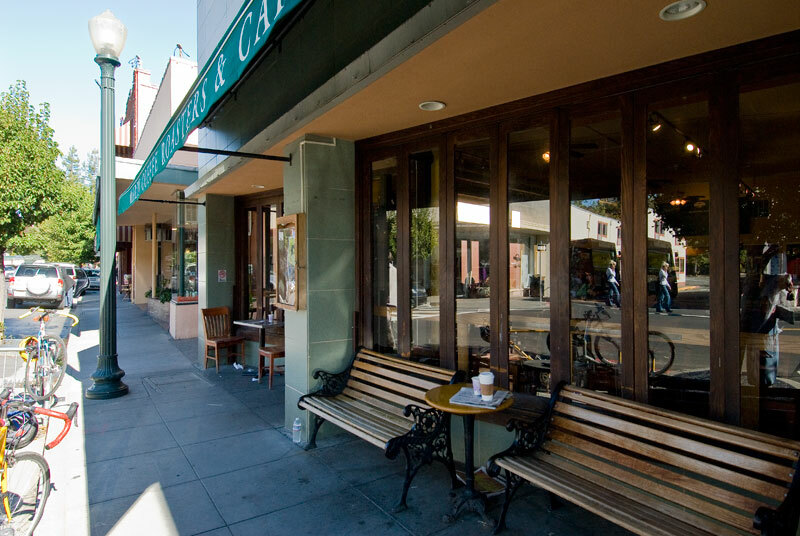 Downtown, locals get their fill of delicious food at MH Bread and Butter or Cucina and and shop for clothing, gifts and accessories in many of the downtown boutiques. 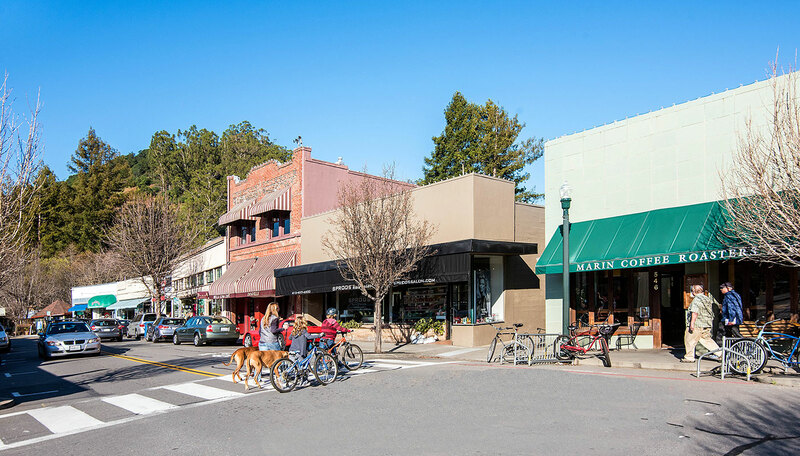 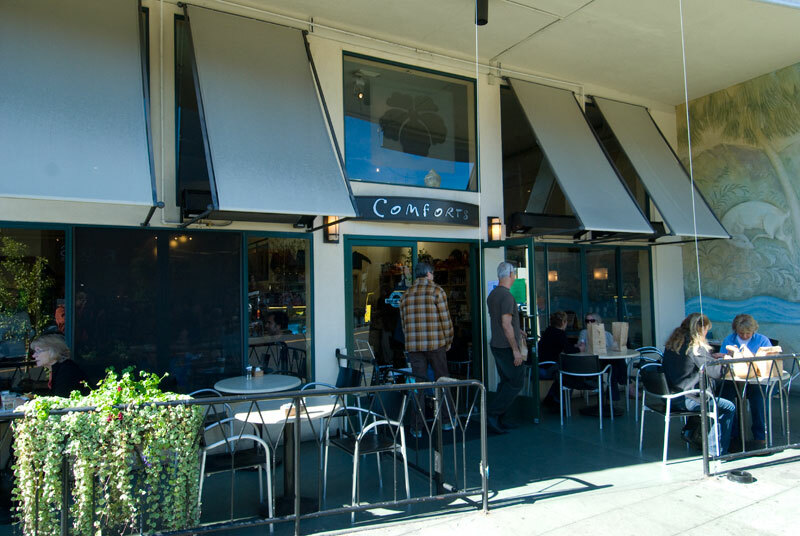 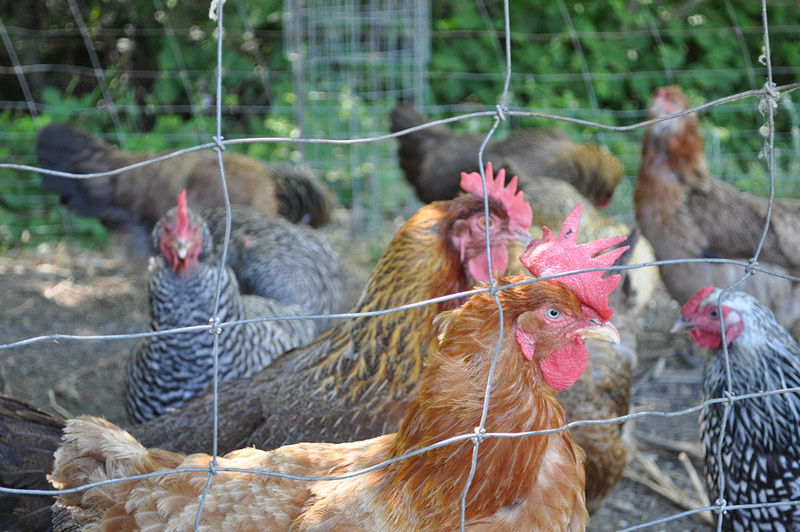 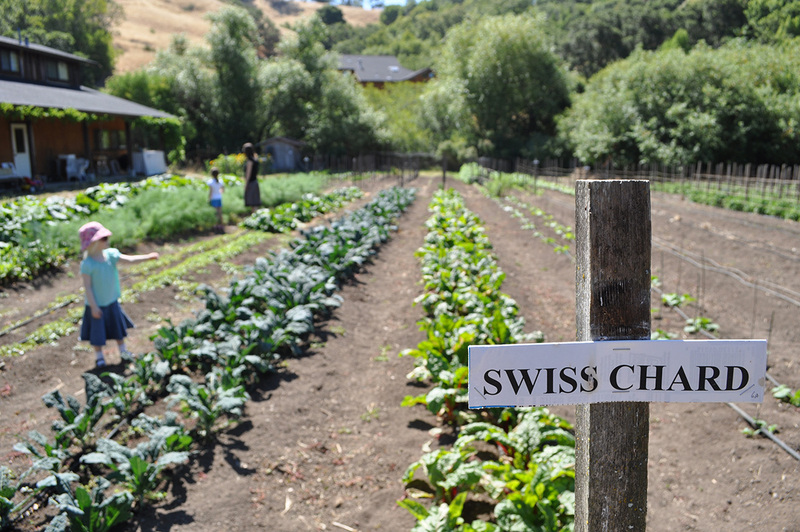 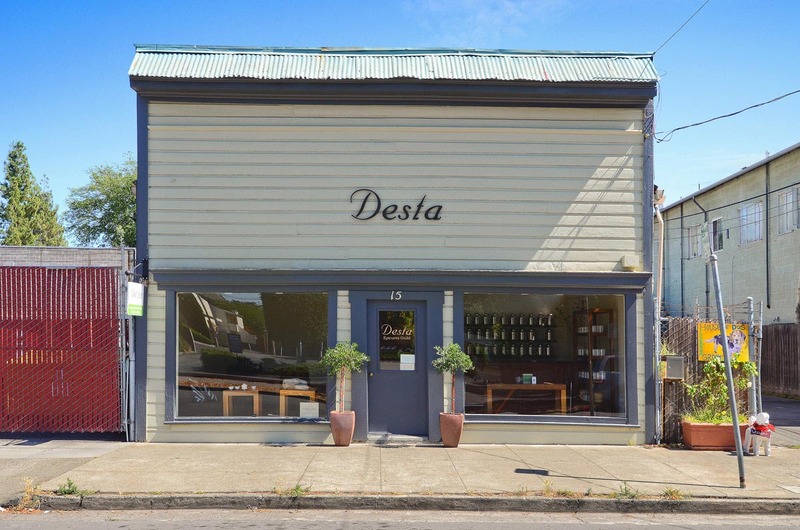 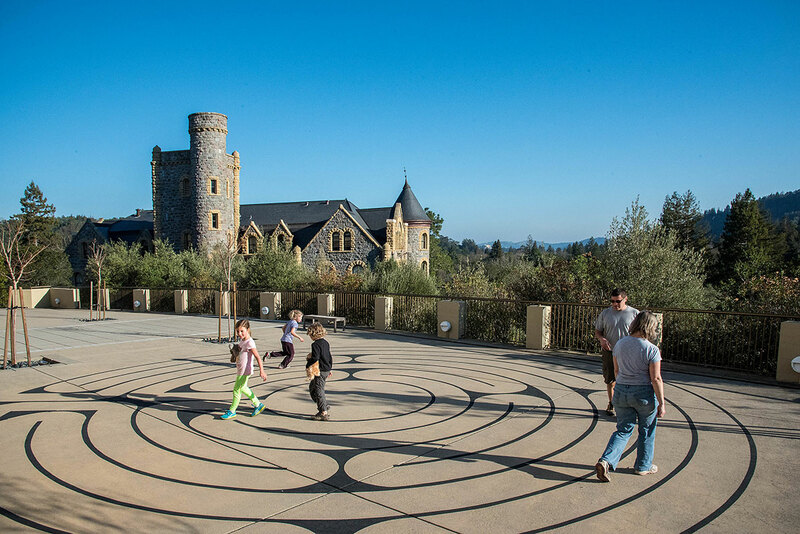 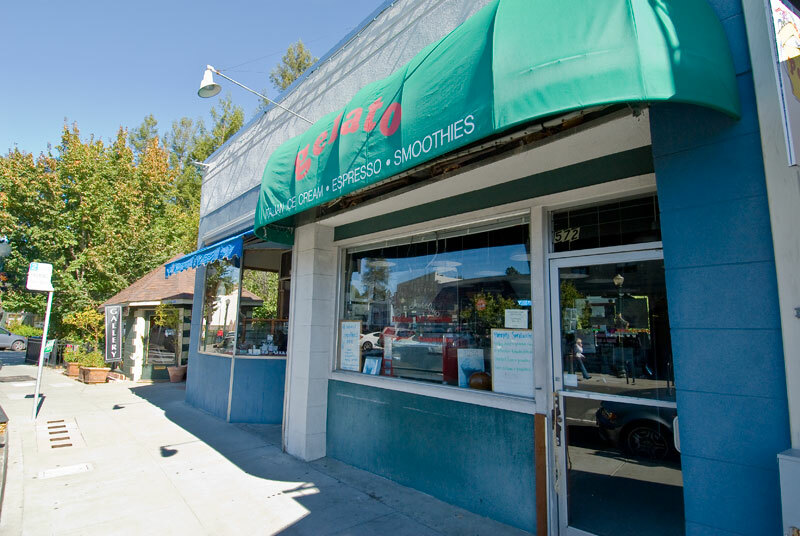 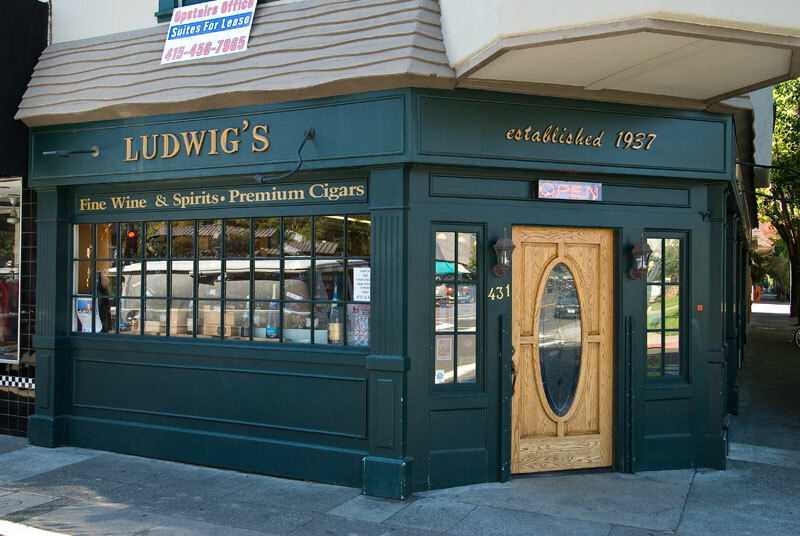 San Anselmo is a town made for strolling. 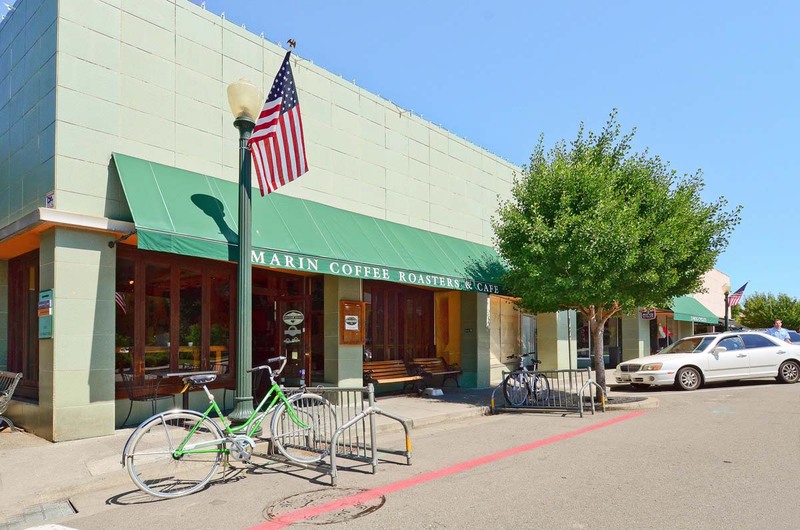 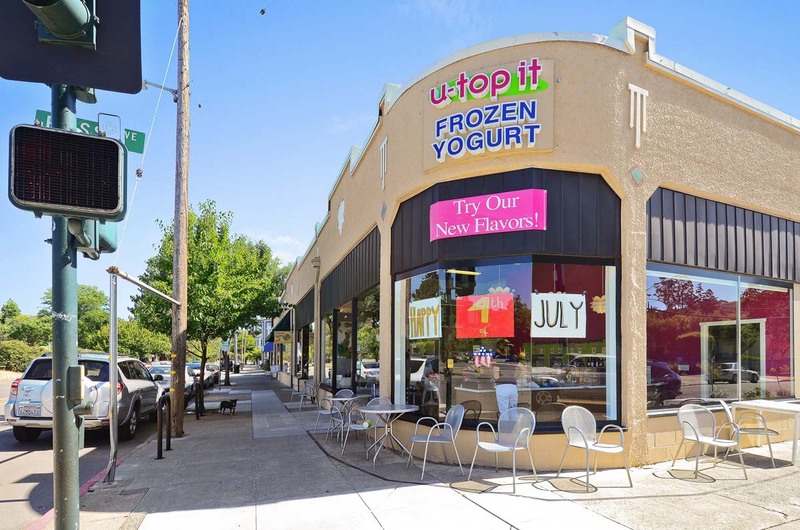 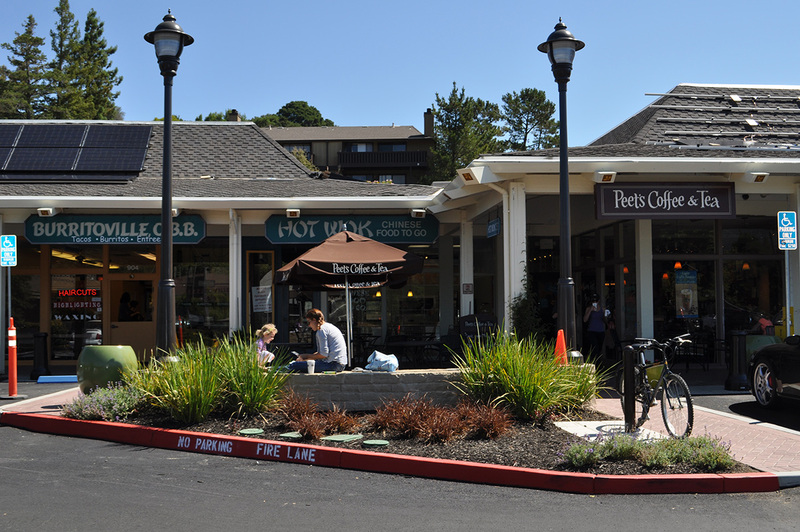 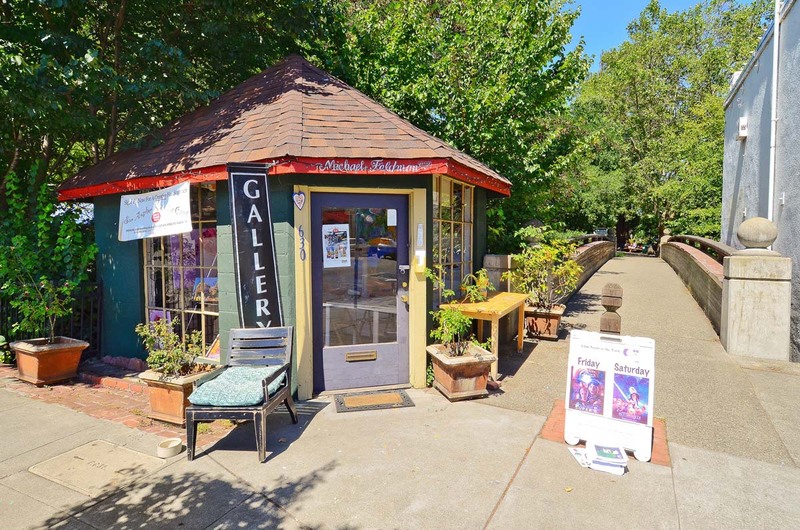 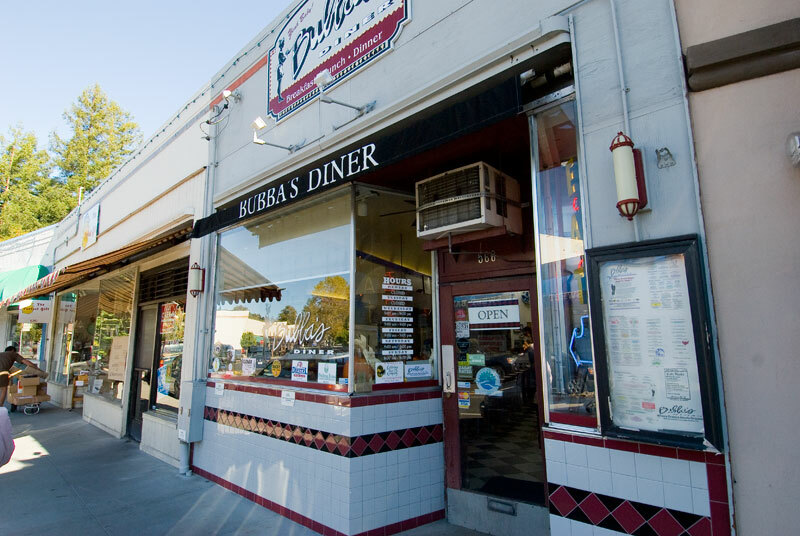 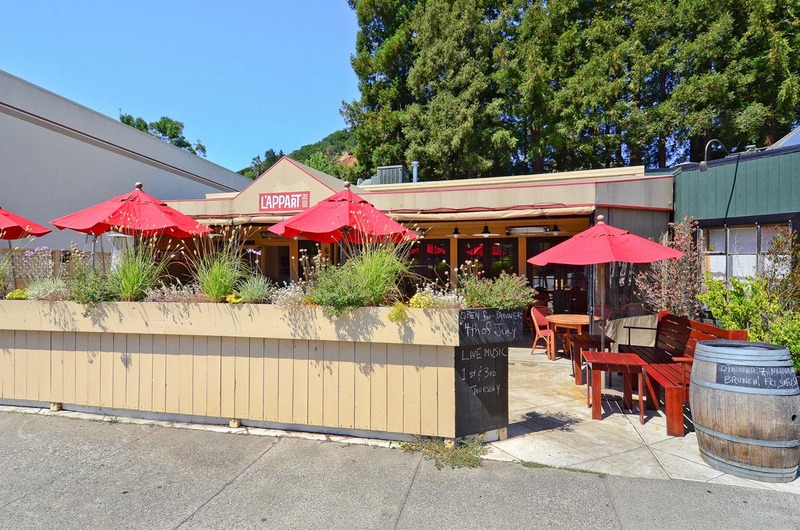 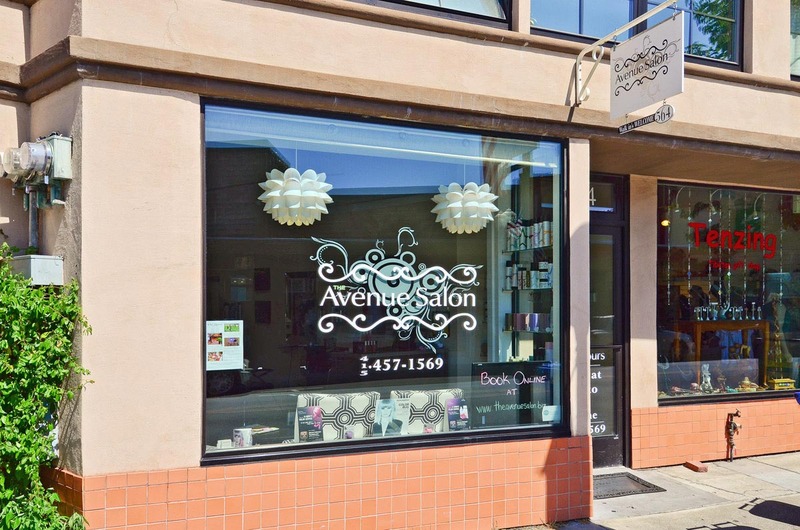 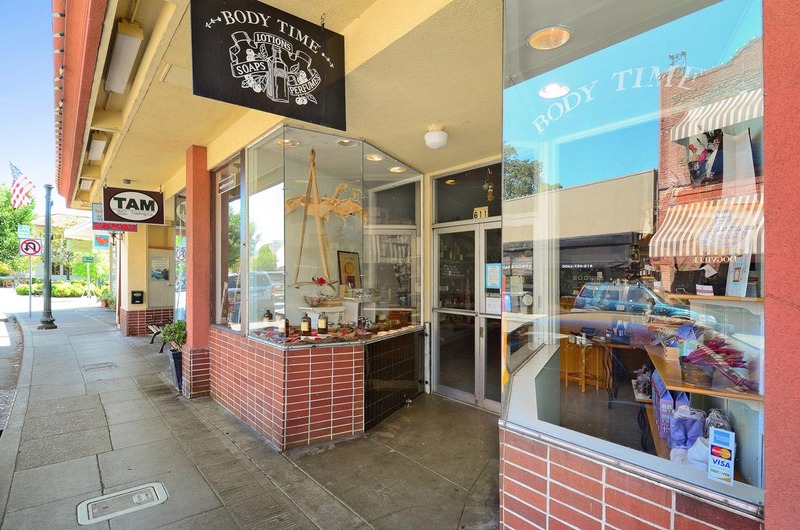 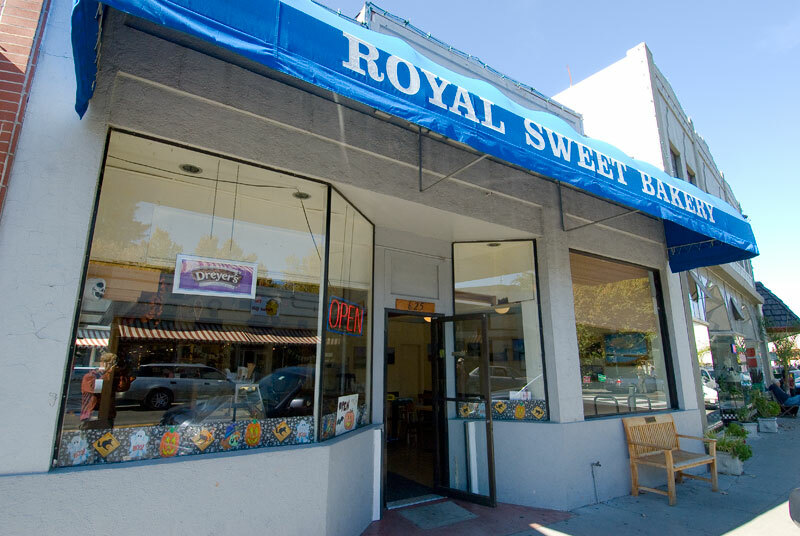 Small shops and many restaurants line the main street, which backs onto the active San Anselmo Creek.